San Francisco greeted an old acquaintance from their infamous psychedelic era with a warm welcome from all generations of devout admirers. 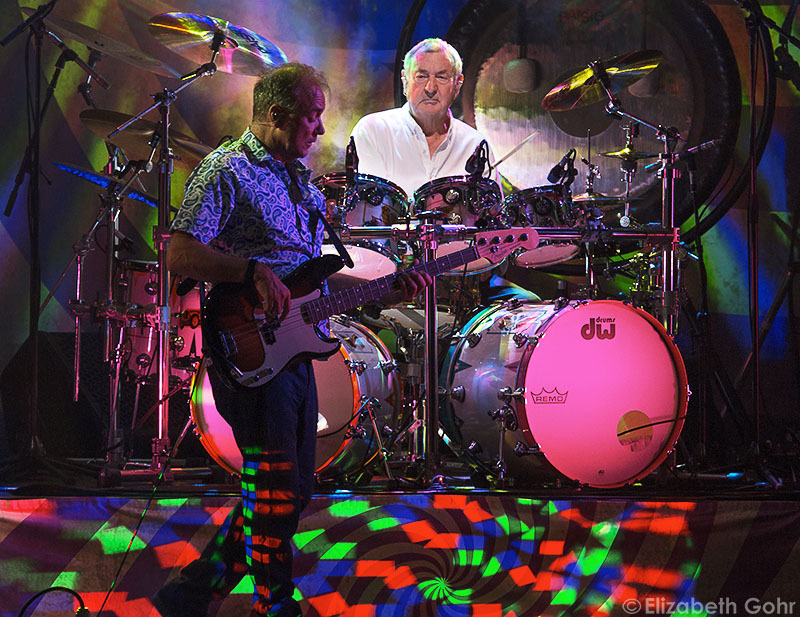 Nick Mason, the original drummer from highly influential band Pink Floyd, brought his rendition of this timeless entity to life with a touring ensemble called the Saucerful of Secrets, marking Mason’s return to performing in North America since 1994. Over half a century ago, Mason along with fellow architecture students at the time, Roger Waters, Richard Wright, art student Syd Barrett, and David Gilmour cosmically composed the blueprints for psychedelic and progressive music that greatly exceeded their time and the decades to come. 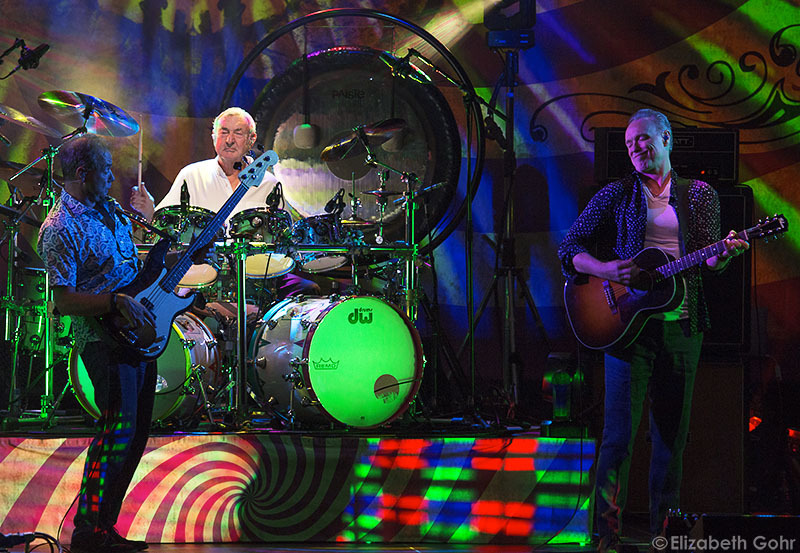 These pioneers of mind expansive music slowly separated their genius capabilities over the years due to creative differences and the remaining original members continue to rekindle the spirit of Pink Floyd live from their own personal vision. 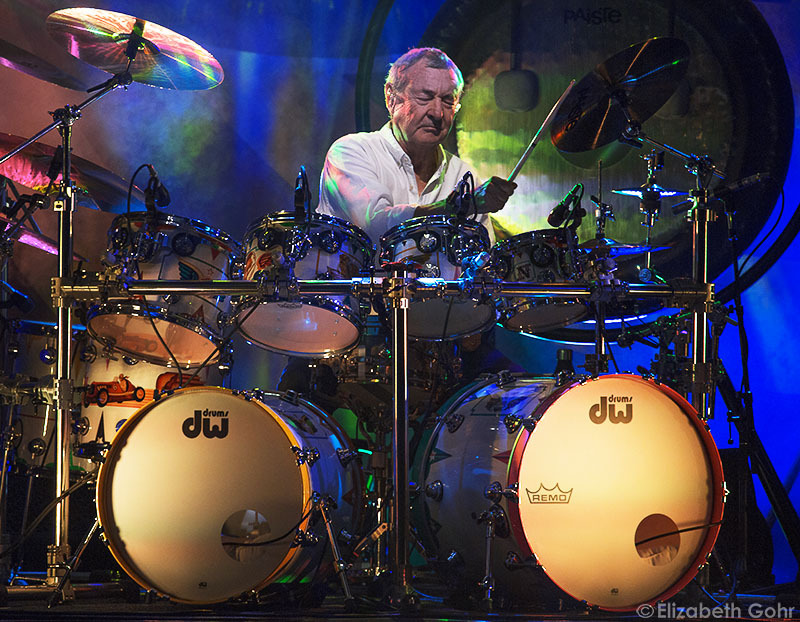 Nick Mason knocks the dust off the earlier Pink Floyd material in his performance that many haven’t got the opportunity to hear live, making for quite an exquisite experience. 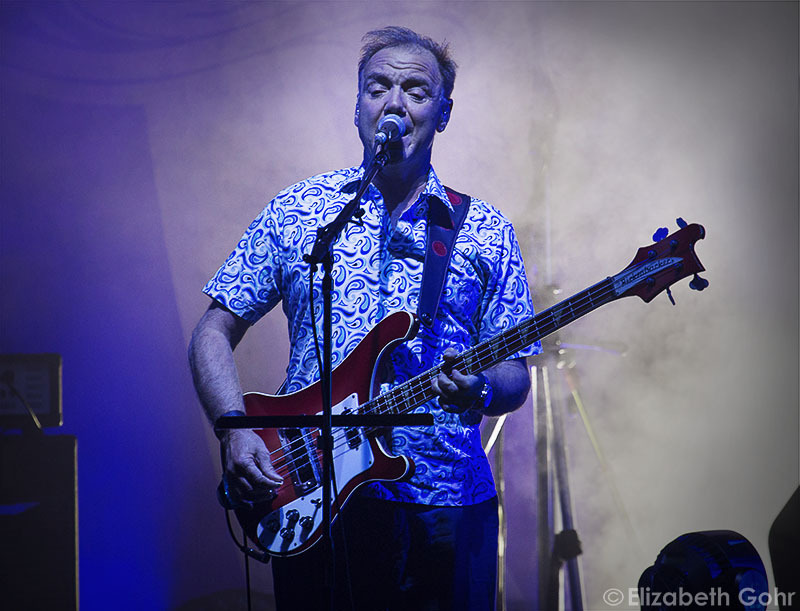 The first Pink Floyd albums, which were primarily influenced by Barrett’s obscure creativity before his sudden departure from the band, also initiated the starting point where the band leapt off the grid into uncharted auditory territory. The innovative albums encapsulated the psychedelic movement in their music and provided the gravel to the foundation for this ever-evolving genre to launch off of. Strapped in this musical time machine clocked back 50 years, Nick Mason’s Saucerful of Secrets was equipped with a fantastic lighting setup with visuals of colorful patterns and vintage oil projected on an antique graphic backdrop including great use of smoke, subtle strobe and lasers to enhance the sensory stimuli. 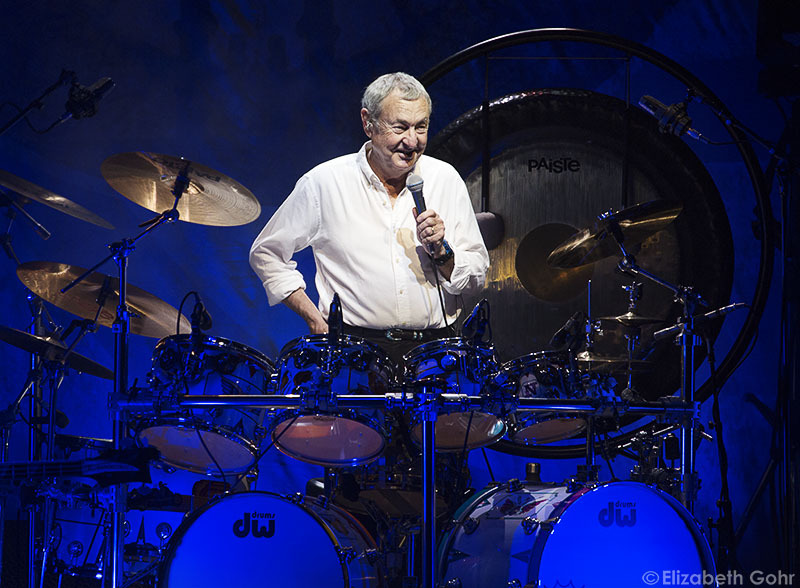 The 75-year-old drummer proved to be in great shape and good spirits having spent his years aside from touring adventuring in other adrenaline-fueled activities such as motor racing and flying helicopters. 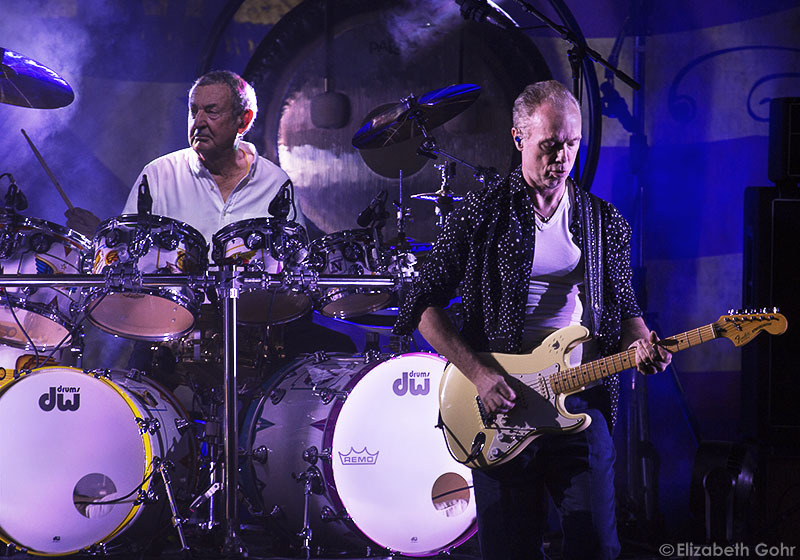 Mason’s more recent seat came from behind a custom painted DW double bass drum kit complete with a gong hovering to the side and was joined by fellow bandmate Guy Pratt, who was the replacement bassist for Waters on the Pink Floyd tours in the late 80s to early 90s. Pratt also happens to be the son in law of the late Richard Wright and noted how his son’s grandfather wrote the tune “Remember a Day” when introducing it. 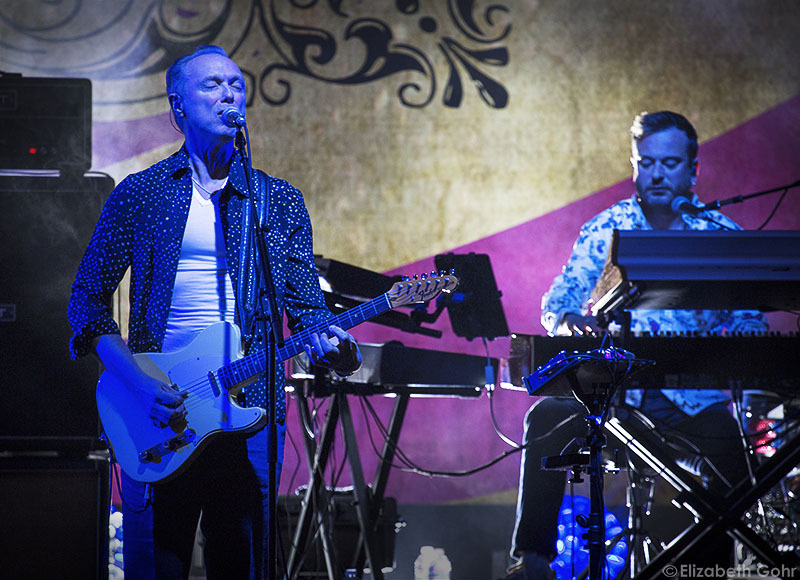 Generating a taste of the initial 5-piece Floyd vision, there were double the guitars with Gary Kemp and Lee Harris providing great use of brain warping effects and frequent application of slide and Ebow to make the notes sing and bend minds. Keyboardist Dom Beken summons the essence of Wright’s melodies as he cultivates the flow of ethereal synth soundscapes and enigmatic effects throughout. The band fired up the engines with cult classics from Pink Floyd’s debut album, Piper at The Gates of Dawn starting with the initial introduction to space rock with the iconic song “Interstellar Overdrive.” The surreal ride from this chromatic walk of notes and overdrive effect overload on the guitar put into motion the revitalization of the countercultural zeitgeist. “Astronomy Dominie” featured the classic astronautical sound effects and eerie howl emitted from Kemp with vocal harmonization from Pratt and Harris that greatly portrays the nostalgia of Floyd’s avant-garde roots. 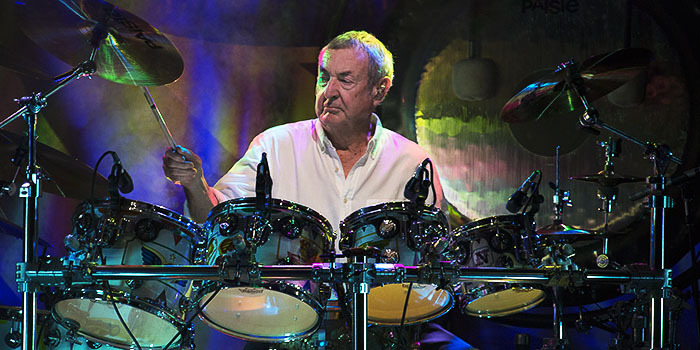 Nick Mason offered bits of storytelling every so often, reminiscing about hanging out backstage with Janis Joplin when playing the historic Winterland Ballroom in San Francisco, commending Syd Barrett for his inspiration and proclaiming his excitement in how he now got to play the gong, saying Waters’ only flaw was his failure to share it back in the day. Every song was a highlight of the night, and the seated auditorium conserved the nerve for numerous standing ovations towards the end of the set as the generous amounts of applause produced great smiles and enthusiasm all around. A previously unreleased Barrett-induced Pink Floyd song that was recorded in 1967 but never quite heard by the world until it was finally released on a boxset in 2016, “Vegetable Man,” was played to much delight as it got the fists pumping to its more upbeat anthem. Following this relic, Mason produced a grandiose reprise starting with the beautiful ballad “If,” with Kemp on acoustic guitar and vocals swiftly transitioning to the electric guitar for a smooth changeover into the rejuvenating instrumental “Atom Heart Mother,” and then delicately landing back into “If,” completing a dreamlike state of bewilderment. The only Pink Floyd song to feature all members on the recording, “Set the Controls for the Heart of the Sun,” perpetually stands out for its mesmerizing groove. The onset of the sacred rumble from the gong by Mason also features him gently pounding on the toms in an hypnotic rhythm with timpani mallets as Pratt offers deep resonance on the bass and haunting vocals, later administering the stronger gong hit behind Mason as Roger always did later in the song. 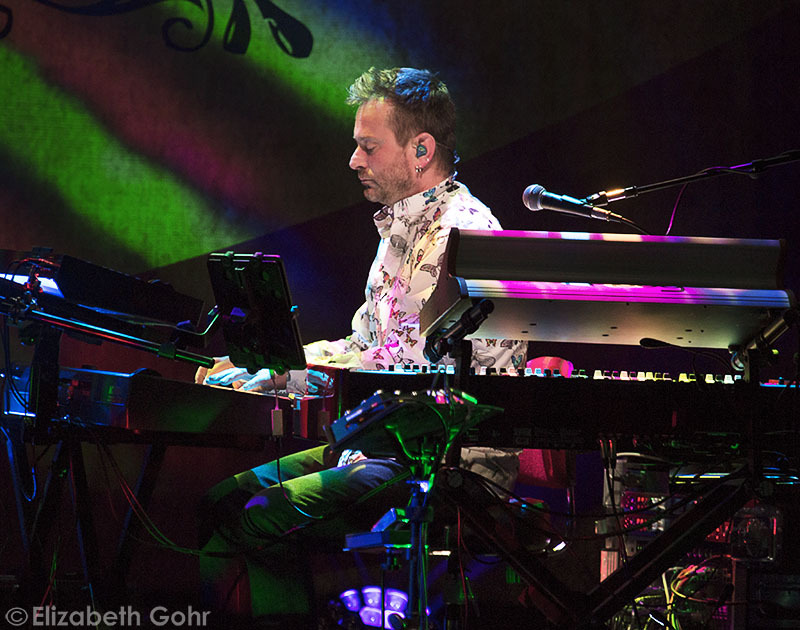 Kemp soars the notes with the Ebow on the guitar as Harris chops away and Beken beams vibraphone tones through the synth, as the combined talents skillfully concoct this well rounded artistic piece. Another alluring signature from the album Meddle, “One of These Days,” also happens to be the only song Mason offered minimal vocals to, although quite distorted with effects. The storm brewed with the rumble of the bass amidst Harris singing with the slide guitar on his lap as the psychosis kicked into full speed after the classic lyric by Mason, “One of these days I’m going to cut you into little pieces” with the sudden burst into a dark thumping banger and thus signaling the climatic conclusion to the generous set. Back for an encore to transmit the same titled song as the album and band, “A Saucerful of Secrets” conjured a chaotic arrangement of texturizing layers calming down to lengthy chords on keys with the crescendo of Kemp’s hallowing vocals and soaring solo on the Stratocaster. The band ended the night with “Point Me at the Sky,” another upbeat rarity re-released on the 2016 boxset. 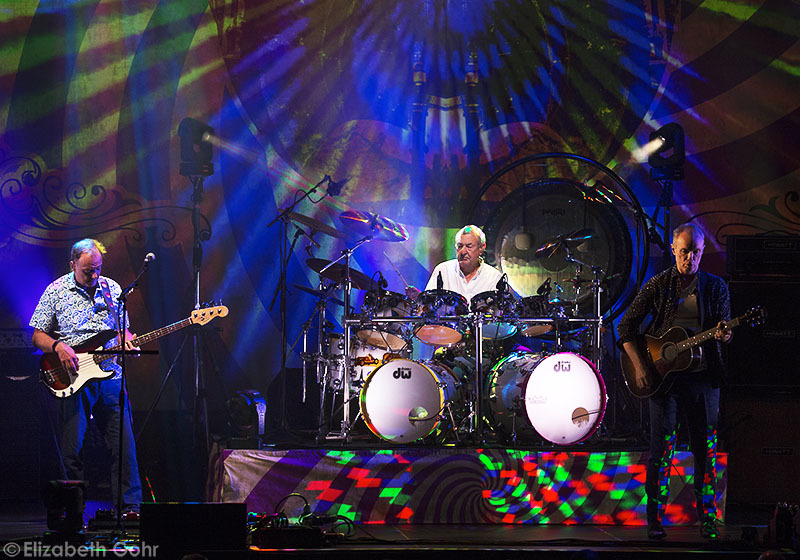 Pratt proclaimed during the set that they were honored to play San Francisco, being the birthplace of psychedelia, but the honor was truly bestowed by the host to have the heartbeat of Pink Floyd grace their stage once again. Get Cape. Wear Cape. Fly. 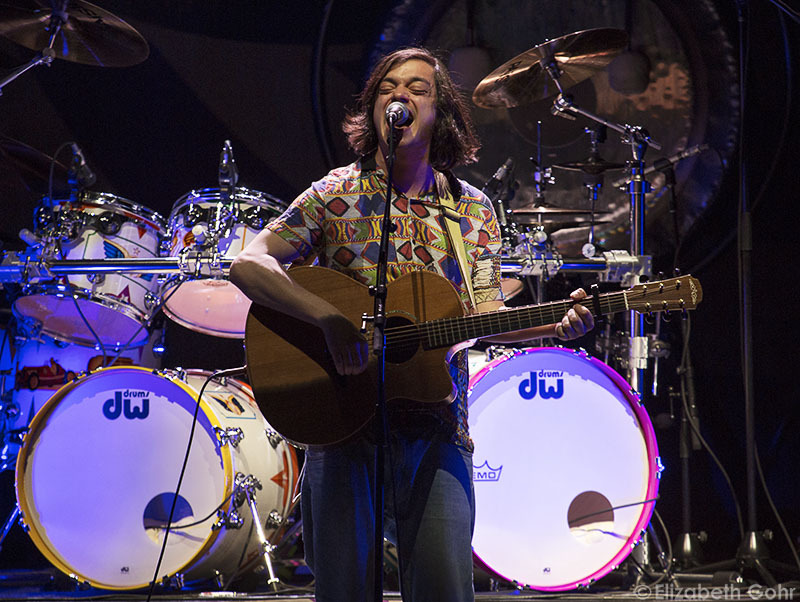 opened the show as a one-man band, achieving plentiful indie folk rock songs accompanied solely on an acoustic guitar. 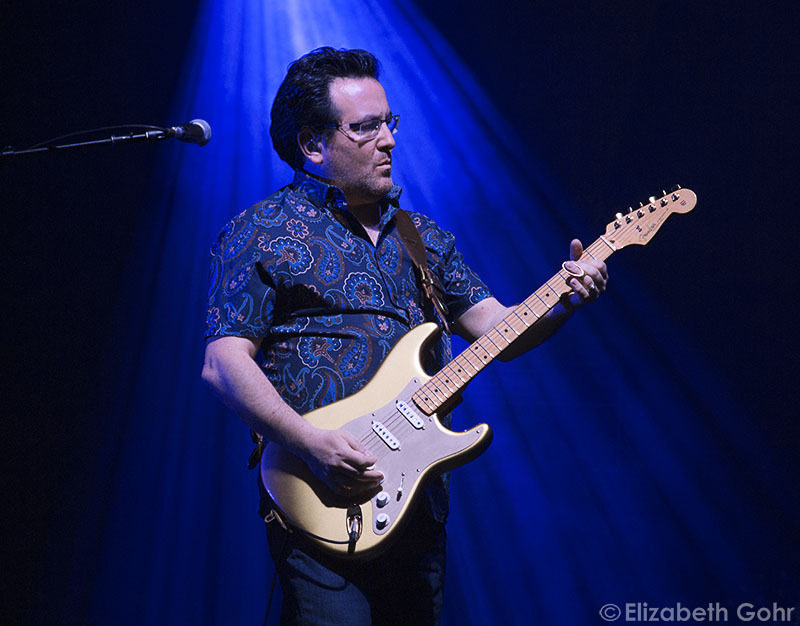 Also known as Sam Duckworth, an English musician who has been active in the music scene for over a decade, he maintained boastful vocals backed with catchy melodies as he strummed away energetically and humbly entertained the filled seats at The Masonic. 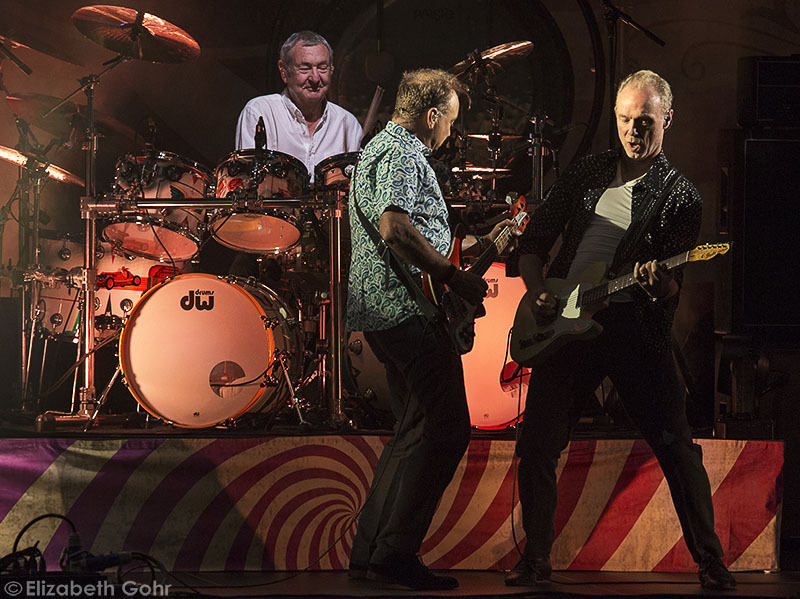 Find out more about Nick Mason’s Saucerful of Secrets on their website. 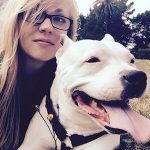 Check out Get Cape. Wear Cape. Fly here.